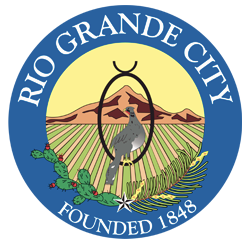 Following the disqualification of Municipal Judge Leo Lopez Jr., Rio Grande City has reached out to local justices of the peace to keep the municipal court running. Roel “Role” Valadez, the precinct 4 JP, will mostly be taking on the municipal judge duties, according to RGC Mayor Joel Villarreal. If needed, however, other local JPs will also be tasked to fill in. Their assistance will likely be necessarily until next Friday, when Villarreal expects a new municipal judge to be appointed. The city commissioners are expected to meet twice next week, specifically during a special meeting to be held either Monday or Tuesday, and then a during a regular meeting on either Wednesday or Thursday. “So we have two meetings scheduled and we should have appointed someone by no later than Friday of next week,” Villarreal said. The position was vacated last week upon Lopez’s guilty plea to a federal bribery charge; his contract stipulates that a conviction of a misdemeanor or felony crime is considered an automatic resignation. Allegations against him stem from an investigation into the $38 million construction and rehabilitation of the city of Weslaco’s water treatment facilities, in which Lopez is accused of orchestrating a bribery scheme. As part of the scheme, companies allegedly bribed two Weslaco city commissioners through Lopez in exchange for contracts for the construction project. Additionally, the State Commission on Judicial Conduct on Wednesday suspended Lopez without pay effective immediately.